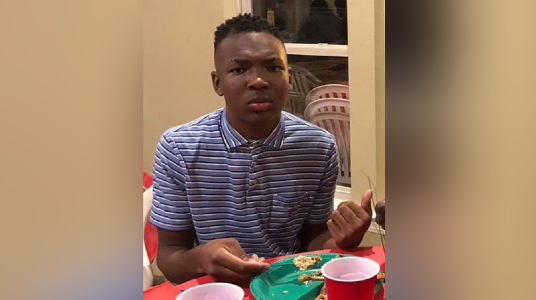 JACKSON - The son of an infamous Baton Rouge serial killer has been arrested in the deadly shooting of a teenager in East Feliciana Parish that happened earlier this month. Jail records show Dedrick Lee, 19, was booked Nov. 21 on one count of negligent homicide in the shooting death of 16-year-old Valentae Brooks. Officials said Brooks was fatally shot at a residence in Clinton just two days before his birthday. He was a student at East Feliciana High School. Sources tell WBRZ Lee is the son of Baton Rouge serial killer Derrick Todd Lee, who was sentenced to death in two murders but implicated in several others dating back to the late 90s. He died in prison before he could be executed. Dedrick Lee was released from jail on bond less than an hour after he was booked. Initially, there was confusion surrounding the circumstances of the shooting, as investigators were hesitant to call it a homicide. The shooting is still under investigation. In a police report released to WBRZ, investigators wrote the shooting occurred as Dedrick Lee and Valentae Brooks were making a rap video with friends in a bedroom. Lee told investigators, Brooks handed him the gun after showing it off. Lee told detectives he may have accidentally pulled the trigger, shooting Brooks. Though, Lee said, Brooks told friends the gun was not loaded.